BARCELONA, SPAIN - A humanitarian rescue boat carrying 60 migrants rescued off Libya docked in Barcelona on Wednesday after being turned away by Malta and Italy, in the latest example of European divisions on immigration. ProActiva founder Oscar Camps said that while the Open Arms made the four-day journey to Barcelona, hundreds more migrants had drowned in the Mediterranean Sea, where no humanitarian boats are currently patrolling. “We have arrived (in Barcelona) with our cupboards bare but with 60 lives. We have to make do with that for the time being,” he said at a news conference after the boat docked. 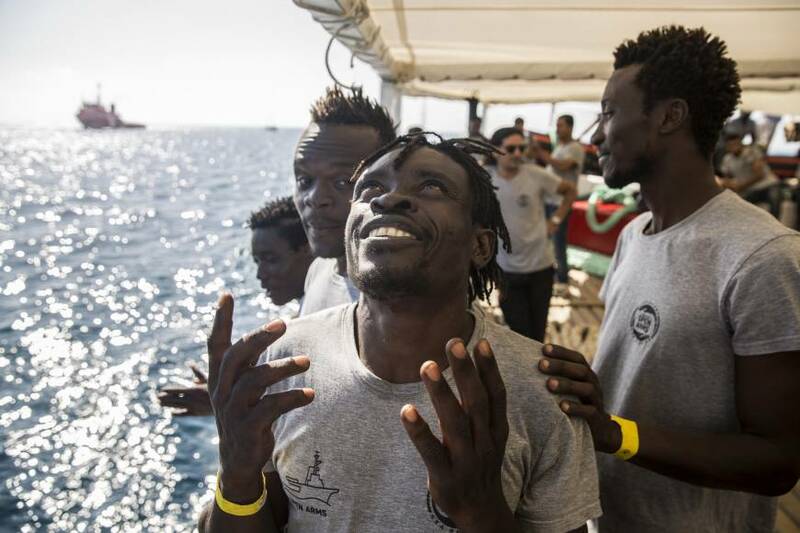 Last month, Spain accepted 629 migrants on another charity rescue boat, the Aquarius. 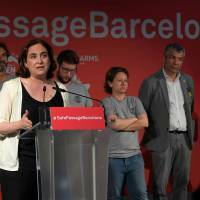 Barcelona Mayor Ada Colau said Spain must continue to accept migrants and make permanent the reception infrastructure put in place for the arrival of the Open Arms boat. 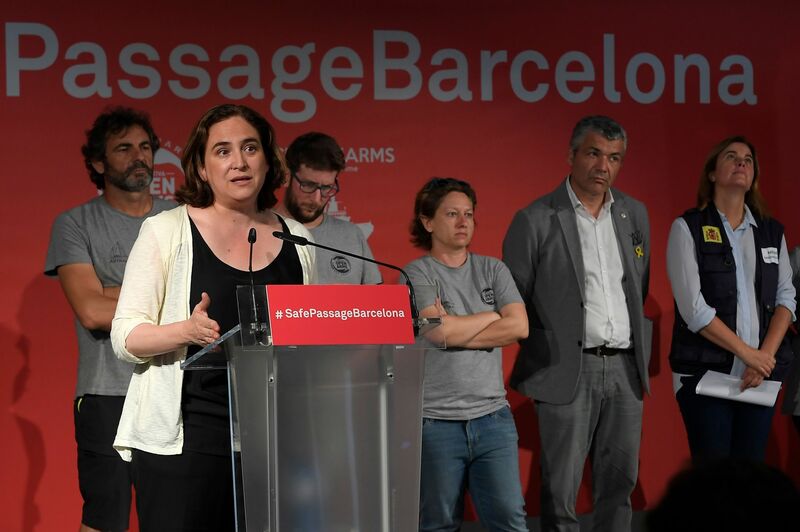 “We proved we could do it with the Aquarius and again with Open Arms so it is the duty of all of us, but especially the institutions, to continue doing this in all cases,” Colau said, speaking at a news conference alongside several European Members of Parliament. “What we cannot allow is that this only happens for high-profile cases in the media. That would be an enormous hypocrisy and one for which we could never forgive ourselves,” she added. The migrants, including five women and four children, are of various nationalities, including Palestinians, Syrians and Guineans. Eleven people received medical attention for injuries, none of them serious.